^ 钓鱼岛及其部分附属岛屿地理坐标. 國家海洋局. 2012年9月15日 [2012年11月16日]. （原始内容存档于2012年9月18日） （中文（简体）‎）. ^ 2.0 2.1 內政部地政司. 釣魚臺列嶼簡介. 中華民國內政部. 2012年9月15日 [2012年11月16日]. （原始内容存档于2012年6月14日） （中文（繁體）‎）. ^ 钓鱼岛危机. 中華軍事網. [2012年11月16日]. （原始内容存档于2014年3月30日） （中文（简体）‎）. ^ 《環球時報》. 媒体称日本千方百计扩军 要走军国主义老路. 騰訊. 2012年9月7日 [2012年11月16日] （中文（简体）‎）. ^ 董國昌. 光明網：購島鬧劇是對《和平憲法》的嘲諷. 中國共產黨新聞網. 2012年9月18日 [2012年11月16日] （中文（繁體）‎）. ^ 钓鱼岛. 地理頻道. 2010年10月12日 [2012年11月16日] （中文（简体）‎）. ^ 练洁. 钓鱼岛. 山東博物館. 2012年9月19日 [2012年11月16日]. （原始内容存档于2014年7月15日） （中文（简体）‎）. ^ 化夷. 台湾与钓鱼岛（一）. 湖北省人民政府. 2012年9月17日 [2012年11月16日] （中文（简体）‎）. ^ 馬靜. 專家解讀：共護釣島 兩岸應多合作. 《文匯報》. 2012年7月6日 [2012年11月16日] （中文（繁體）‎）. ^ 庚欣. 庚欣：解决钓鱼岛问题，台湾是第一障碍. 《環球時報》. 2012年8月28日 [2012年11月16日] （中文（简体）‎）. ^ 釣島問題研討 兩岸針鋒相對 楊永明：釣魚台是中華民國的 陸學者：釣島是中國的. 《旺報》. 2012年10月20日 [2012年11月16日] （中文（繁體）‎）. ^ 張華. 張華：兩岸聯手保釣為什麼這麼難. 華夏經緯網. 2013年2月21日 [2012年11月16日] （中文（繁體）‎）. ^ 鳳凰衛視. 中国军方惊人计划：北京解决钓鱼岛真正高招曝光. IT商業網. 2012年10月9日 [2012年11月16日]. （原始内容存档于2014年7月14日） （中文（简体）‎）. ^ 人民網. 日驻华使馆：尚无法证实日欲将钓鱼岛“国有化”. 鳳凰衛視. 2012年11月25日 [2012年11月16日] （中文（简体）‎）. ^ 外交部條約法律司. 釣魚臺列嶼是中華民國的固有領土. 中華民國外交部. 2012年4月3日 [2012年11月16日] （中文（繁體）‎）. ^ 康仁俊. 釣魚台誰的？　吳敦義：台灣省宜蘭縣頭城鎮大溪里. 今日新聞網. 2010年10月5日 [2012年11月16日] （中文（繁體）‎）. ^ 羅沙. 國家海洋局、民政部受權公布我國釣魚島及其部分附屬島. 新華網. 2012年3月3日 [2012年11月16日] （中文（简体）‎）. ^ 經濟部中央地質調查所. 附件一 富貴角海域地質試測圖說明書 (PDF). 中華民國經濟部. 2007年12月 [2012年11月16日]. （原始内容 (PDF)存档于2014年10月16日） （中文（繁體）‎）. ^ 27.0 27.1 沖縄県島しょ別面積一覧. 沖繩縣廳（日语：沖縄県庁）. 2007年12月 [2012年11月16日]. （原始内容存档于2012年5月14日） （日语）. ^ 李錫宇（英语：Lee Seokwoo）. 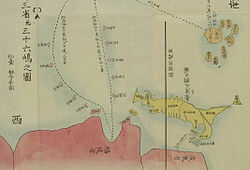 Territorial Disputes among Japan, China and Taiwan concerning the Senkaku Islands. 英國達拉謨: 國界研究小組（英语：International Boundaries Research Unit）. 2002年: 第10頁至第11頁 [2012年11月16日]. ISBN 978-1897643501 （英语）. For a long time following the entry into force of the San Francisco Peace Treaty China/Taiwan raised no objection to the fact that the Senkaku Islands were included in the area placed under US administration in accordance with the provisions of Article of the treaty, and USCAP No. 27.In fact, neither China nor Taiwan had taken up the question of sovereignty over the islands until the latter half of 1970 when evidence relating to the existence of oil resources deposited in the East China Sea surfaced.All this clearly indicates that China/Taiwan had not regarded the Senkaku Islands as a part of Taiwan.Thus, for Japan, none of the alleged historical, geographical and geological arguments set forth by China/Taiwan are acceptable as valid under international law to substantiate China's territorial claim over the Senkaku Islands. ^ 29.0 29.1 关于尖阁诸岛的基本见解 (PDF). 外務省. 2012年11月 [2013年11月10日] （中文（简体）‎）. ^ David A. Colson和Robert W. Smith. International Maritime Boundaries, Vol. 5. 荷蘭萊登: 布裏爾出版社（英语：Brill Publishers）. 2005年5月31日: 第3,441頁 [2012年11月16日]. ISBN 978-9004144613 （英语）. ^ 黃錫麟. Former New Taipei councilor explains PRC flag controversy. 《旺報》. 2012年7月8日 [2012年11月16日]. （原始内容存档于2013年11月5日） （英语）. ^ 32.0 32.1 島尻安伊子. 質問第六〇号 石垣市による尖閣諸島への上陸に関する質問主意書. 日本參議院. 2011年2月10日 [2013年11月9日] （日语）. ^ 33.0 33.1 呂建良. 第四章 釣魚台政策 (PDF). 國立政治大學. 2007年 [2012年11月16日] （中文（繁體）‎）. ^ 林田富. 再論釣魚台列嶼主權爭議 (PDF). 彰化縣政府. 2012年10月19日 [2012年11月16日] （中文（繁體）‎）. ^ 鄭海麟. 《順風相送》、《指南正法》所記「釣魚台」考辨. 《星島日報》. 2014年3月18日 [2015年8月31日] （中文（繁體）‎）. ^ 陈君. 钓鱼岛属中国无可争议. 《廈門日報》. 2012年10月19日 [2012年11月16日] （中文（简体）‎）. ^ 央視網. 钓鱼岛属于中国的9个历史依据. 新華網. 2012年9月12日 [2012年11月16日]. （原始内容存档于2013年1月18日） （中文（简体）‎）. ^ Mark E. Manyin. Senkaku (Diaoyu/Diaoyutai) Islands Dispute: U.S. Treaty Obligations (PDF). 美國國會研究處（英语：Congressional Research Service）. 2013年1月22日 [2015年8月27日] （英语）. ^ 尼伯龙根·蜗藤. 关于钓鱼岛的历史的几个疑问. 縱覽中國. 2012年9月18日 [2015年8月27日] （中文（简体）‎）. ^ 下條正男（日语：下條正男）. 尖閣諸島問題について. 拓殖大學. 2010年 [2015年8月27日]. （原始内容存档于2015年7月9日） （日语）. ^ 明国地図、尖閣は「国外」　中国公式見解を否定　石井准教授「具体的反論を」. 《八重山日報（日语：八重山日報）》. 2010年10月6日 [2015年8月27日] （日语）. ^ いしゐのぞむ. 日教授：馬投書外媒談釣魚台歷史，錯了！. 《民報》. 2015年8月27日 [2015年8月27日] （中文（繁體）‎）. ^ 石井望. 尖閣前史(ぜんし)、無主地(むしゅち)の一角に領有史料有り ①　長崎純心大准教授 石井望. 《八重山日報（日语：八重山日報）》. 2012年8月3日 [2015年8月27日] （日语）. ^ 56.0 56.1 歐洲古圖為證：釣魚台自古不屬於中國. 《民報》. 2015年9月18日 [2015年9月18日] （中文（繁體）‎）. ^ 愛德華·卑路乍. Narrative of the Voyage of H. M. S. Samarang, During the Years 1843-46. 美國查爾斯頓: BiblioBazaar（英语：BiblioBazaar）. 2010年4月6日: 第315頁 [2012年11月16日]. ISBN 978-1140281313 （英语）. ^ 愛德華·卑路乍. Narrative of the Voyage of H. M. S. Samarang, During the Years 1843-46. 美國查爾斯頓: BiblioBazaar（英语：BiblioBazaar）. 2010年4月6日: 第317頁 [2012年11月16日]. ISBN 978-1140281313 （英语）. On the 16th, we endeavoured to obtain observations on Tia-usu; a landing was effected, but the absence of sun prevented our obtaining satisfactory observations, and bad weather coming on hastened our departure. This group, comprehending Hoa-pin-san (和平山，"Peace Island", Uotsuri-jima ), Pinnacle Rocks, and Tias-usu ( Kuba-kima ), form a triangle, of which the hypothenuse, or distance between Hoa-pin-san and Tia-usu, extends about fourteen miles, and that between Hoa-pinsan and the Southern Pinnacle, about two miles. ^ 愛德華·卑路乍. Narrative of the Voyage of H. M. S. Samarang, During the Years 1843-46. 美國查爾斯頓: BiblioBazaar（英语：BiblioBazaar）. 2010年4月6日: 第572頁至第574頁 [2012年11月16日]. ISBN 978-1140281313 （英语）. ^ 管沼雲龍（英语：Unryu Suganuma）. Sovereign Rights and Territorial Space in Sino-Japanese Relations: Irredentism and the Diaoyu/Senkaku Islands. 美國檀香山: 夏威夷大學出版社. 2001年4月1日 [2012年11月16日]. ISBN 978-0824824938 （英语）. ^ 管沼雲龍（英语：Unryu Suganuma）. Sovereign Rights and Territorial Space in Sino-Japanese Relations: Irredentism and the Diaoyu/Senkaku Islands. 美國檀香山: 夏威夷大學出版社. 2001年4月1日: 第90頁 [2012年11月16日]. ISBN 978-0824824938 （英语）. ^ 路易斯·卡倫（英语：Louis Cullen）. A History of Japan, 1582-1941: Internal and External. 英國劍橋: 劍橋大學出版社. 2003年6月23日: 第253頁 [2012年11月16日]. ISBN 978-0521529181 （英语）. ^ 林子平　憂国の思いで著した２作品が発禁となり、不遇のうちに死去. 歴史くらぶ. [2013年11月28日] （日语）. ^ 路易斯·卡倫（英语：Louis Cullen）. San Kokf Tsou Ran to Sets, Ou Aperçu Général Des Trois Royaumes, Volume 1. Ulan Press. 2011年6月4日: 第169頁至第180頁 [2012年11月16日] （法语）. ^ 67.0 67.1 67.2 67.3 共同通訊社. Ishigaki fishermen fret over Senkaku encroachment. 《日本時報》. 2010年11月28日 [2012年11月16日] （英语）. ^ The Senkaku or Diaoyu Islands Narrative of an empty space. 《經濟學人》. 2012年12月22日 [2013年2月11日] （英语）. ^ 石垣宗正. 尖閣諸島　日本領有の正当性. 尖閣諸島の領有権問題. 1996年10月20日 [2013年11月9日] （日语）. ^ 尖閣諸島の開拓者・古賀辰四郎氏のこと. 尖閣諸島の写真と地図集. 2010年1月16日 [2012年11月16日] （日语）. ^ 中華民国からの感謝状、新たに1通見つかる　尖閣遭難の中国漁民救助. 《八重山每日新聞（日语：八重山毎日新聞）》. 2010年11月28日 [2012年11月16日] （日语）. ^ pennyhuang. 石原提收购钓鱼岛设想 日本政府持静观审视态度. 騰訊網. 2012年4月17日 [2013年2月9日] （中文（简体）‎）. ^ UN025. 石原：中国反对日购买钓鱼岛 几乎等同对日宣战. 搜狐. 2012年4月18日 [2013年2月9日] （中文（简体）‎）. ^ 74.0 74.1 疎開船漂着後80人死亡、「尖閣の慰霊碑」建立. 《琉球新報》. 2002年7月10日 [2012年11月16日]. （原始内容存档于2013年5月31日） （日语）. ^ ［６９　尖閣諸島遭難（１）］無人島で飢餓地獄. 《琉球新報》. [2012年11月16日]. （原始内容存档于2013年11月9日） （日语）. ^ 林健煉. 兩岸釣魚台及南海戰略的輕重緩急、矛盾與對策. 兩岸公評網. [2013年11月28日] （中文（繁體）‎）. ^ Senkaku / Diaoyutai Islands. GlobalSecurity.org. [2012年11月16日] （英语）. ^ 尖閣諸島「警告板の設置作業者を」　与那国の関係者探す. 《八重山每日新聞（日语：八重山毎日新聞）》. 2009年8月15日 [2012年11月16日] （日语）. ^ John W. Finney. SENATE ENDORSES OKINAWA TREATY; Votes 84 to 6 for Island's Return to Japan. 《紐約時報》. 1971年11月11日 [2012年11月16日] （英语）. ^ Japan confirms disputed islands purchase plan. BBC Online. 2012年9月10日 [2012年11月16日] （英语）. ^ 81.0 81.1 81.2 81.3 Masame Ito. Owner OK with metro bid to buy disputed Senkaku Islands. 《日本時報》. 2012年5月18日 [2012年11月16日] （英语）. ^ 共同通訊社. Senkaku purchase bid made official. 《日本時報》. 2012年9月11日 [2012年11月16日] （英语）. ^ 文峰. 中国政府关于钓鱼岛问题第一个声明. 戰略網. 2010年9月21日 [2013年11月9日] （中文（简体）‎）. ^ 外交部條約法律司. 外交部歷年來就釣魚臺主權問題之聲明一覽表. 中華民國外交部. 2012年8月22日 [2013年11月9日]. （原始内容存档于2013年9月22日） （中文（繁體）‎）. ^ Min Gyo Koo. Island Disputes and Maritime Regime Building in East Asia: Between a Rock and a Hard Place. 美國紐約: 施普林格科學+商業媒體. 2010年5月6日: 第103頁 [2012年11月16日]. ISBN 978-1441962232 （英语）. ^ Masame Ito. 40 YEARS AFTER REVERSION Jurisdiction over remote Senkakus comes with hot-button dangers. 《日本時報》. 2012年5月18日 [2012年11月16日] （英语）. ^ 共同通訊社. 尖閣諸島に石垣市議ら４人上陸　海保が船長らを事情聴取. 47NEWS（日语：47NEWS）. 2013年1月3日 [2013年11月9日] （日语）. ^ 魚釣島に国会議員ら上陸. 《琉球新報》. 1997年5月6日 [2012年11月16日]. （原始内容存档于2013年5月31日） （日语）. ^ 中央通訊社. 外交部：台船隻有權赴釣台海域. 中華民國僑務委員會. 2012年7月11日 [2012年11月16日] （中文（繁體）‎）. ^ ２００４年（平成１６年）沖縄県内十大ニュース. 《琉球新報》. 2004年12月24日 [2012年11月16日]. （原始内容存档于2013年5月31日） （日语）. ^ 法新社. Senkaku memorial day riles China. 《日本時報》. 2010年12月18日 [2012年11月16日] （英语）. ^ Jun Hongo. Q&A Tokyo's intentions for Senkaku islets. 《日本時報》. 2012年4月19日 [2012年11月16日] （英语）. ^ 福建省霞浦县法院裁决钓鱼岛海域案件 国内首次. 觀察者網. 2014年9月19日 [2015年2月19日] （中文（简体）‎）. ^ 朱建陵. 福建法院裁決釣魚台海域納管轄 陸司法首例. 中時電子報. 2014年9月18日 [2015年2月19日] （中文（繁體）‎）. ^ 科學網. 地理常识钓鱼岛不仅一个岛. 《北京晨報》. 2012年9月20日 [2012年11月16日]. （原始内容存档于2012年11月1日） （中文（简体）‎）. ^ 103.0 103.1 季國興（英语：Ji Guoxing）. 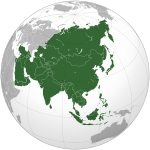 Maritime Jurisdiction in the Three China Seas. 加州數位圖書館（英语：California Digital Library）. 1995年10月1日 [2012年11月16日] （英语）. ^ Back Arc Extension in the Okinawa Trough. 《地球物理研究期刊》. 1987年 [2012年11月16日] （英语）. ^ 第5航空群. ガス田群 尖閣諸島 (PDF). 防衛省. [2012年11月16日]. （原始内容 (PDF)存档于2012年11月7日） （日语）. ^ ウォッちず. 國土地理院. [2012年11月16日] （日语）. ^ 總統視察彭佳嶼. 中華民國總統府. 2012年9月7日 [2012年11月16日] （中文（繁體）‎）. ^ 夏欣. 中国公布钓鱼岛海域部分地理实体标准名称. 新華網. 2012年9月22日 [2012年11月16日]. （原始内容存档于2013年10月2日） （中文（简体）‎）. ^ 郭淼. 钓鱼岛地理实体标准名称公布 最高峰命名为高华. 騰訊網. 2012年9月22日 [2012年11月16日] （中文（简体）‎）. ^ 愛德華·卑路乍. Narrative of the Voyage of H. M. S. Samarang, During the Years 1843-46. 美國查爾斯頓: BiblioBazaar（英语：BiblioBazaar）. 2010年4月6日: 第318頁 [2012年11月16日]. ISBN 978-1140281313 （英语）. ^ 112.0 112.1 魚釣島の裸地3割に拡大　尖閣諸島、野生ヤギの食害進む. 《八重山每日新聞（日语：八重山毎日新聞）》. 2009年12月22日 [2012年11月16日] （日语）. ^ 國際自然保護聯盟. Mogera tokudae. IUCN紅色名錄. [2012年11月16日] （英语）. ^ 横畑泰志、横田昌嗣和大田英利. 尖閣諸島魚釣島の生物相と野生化ヤギ問題 (PDF). 広島大学平和科学研究センター. 2014年8月15日 [2015年2月19日] （日语）. ^ 张旭和蔡波. 钓鱼岛及其附属岛屿的生物区系. 中國科學院成都生物研究所. 2014年8月15日 [2015年2月19日] （中文（简体）‎）. ^ 富施光治. 石垣市字登野城2392番地の現在. 日本青年社（日语：日本青年社）. 2002年8月23日 [2012年11月16日] （日语）. ^ 《钓鱼岛是中国的固有领土》白皮书（全文）. 中华人民共和国国务院新闻办公室. 2012-09-25 [2016-10-03]. ^ 黃楊. 臺當局拒絕“兩岸聯合保釣”出於對美國的忌憚. 華夏經緯網. 2012年9月26日 [2012年11月16日] （中文（繁體）‎）. ^ 李筱峰. 〈李筱峰專欄〉保釣是為了賣台？. 《自由時報》. 2012年9月16日 [2013年2月15日]. （原始内容存档于2012年9月19日） （中文（繁體）‎）. ^ 外交部條約法律司. 在釣魚臺列嶼爭端，我國不與中國大陸合作之立場. 中華民國外交部. 2013年2月8日 [2013年3月22日]. （原始内容存档于2013年10月26日） （中文（繁體）‎）. ^ Barbara Kwiatkowska. International Organizations and the Law of the Sea:Vol. 12:Documentary Yearbook 1996. 美國紐約: 施普林格科學+商業媒體. 1998年12月29日 [2012年11月16日]. ISBN 978-9041110046 （英语）. ^ 日中関係（尖閣諸島をめぐる情勢）. 外務省. 2012年12月 [2013年11月10日] （日语）. ^ 关于尖阁诸岛的基本见解 (PDF). 外務省. 2012年11月 [2013年11月10日] （中文（简体）‎）. ^ 吴辉. 从国际法论中日钓鱼岛争端及其解决前景 (PDF). 中國社會科學院. 2001年3月 [2013年11月10日]. （原始内容 (PDF)存档于2013年10月20日） （中文（简体）‎）. （日文） 井上清. 《釣魚列島的歷史和主權問題》（「尖閣」列島―釣魚諸島の史的解明）. 東京大久保: 第三書館（日语：第三書館）. 1996年10月. ISBN 978-4807496129. （日文） 《角川日本地理大辭典（47）沖繩縣（日语：角川日本地名大辞典）》. 日本富士見: 角川書店. 1986年6月. ISBN 978-4040014708. （日文） 島嶼大事典. 日本下目黑: 紀伊國屋書店. 1991年. （英文） David A. Colson和Robert W. Smith. International Maritime Boundaries, Vol. 5. 荷蘭萊登: 布裏爾出版社（英语：Brill Publishers）. 2005年5月31日. ISBN 978-9004144613. （英文） 李錫宇（英语：Lee Seokwoo）. Territorial Disputes among Japan, China and Taiwan concerning the Senkaku Islands. 英國達拉謨: 國界研究小組（英语：International Boundaries Research Unit）. 2002年. ISBN 978-1897643501. （英文） 管沼雲龍（英语：Unryu Suganuma）. Sovereign Rights and Territorial Space in Sino-Japanese Relations: Irredentism and the Diaoyu/Senkaku Islands. 美國檀香山: 夏威夷大學出版社. 2001年4月1日. ISBN 978-0824824938. （英文） 強納森·查尼（英语：Jonathan Charney）. International Maritime Boundaries. 美國波士頓: Martinus Nijhoff Publishers（英语：Martinus Nijhoff Publishers）. 1993年1月27日. ISBN 978-0792311874. （英文） 強納森·查尼（英语：Jonathan Charney）. International Maritime Boundaries. 美國紐約: 施普林格科學+商業媒體. 1998年3月25日. ISBN 978-9041103451. （英文） 強納森·查尼（英语：Jonathan Charney）. International Maritime Boundaries. 美國紐約: 施普林格科學+商業媒體. 2002年10月16日. ISBN 978-9041119544. （英文） 強納森·查尼（英语：Jonathan Charney）. International Maritime Boundaries. Hotei Publishing. 2005年5月1日. ISBN 978-9004144798. （英文） 愛德華·卑路乍. Narrative of the Voyage of HMS Samarang, During the Years 1843 46: Employed Surveying the Islands of the Eastern Archipelago. 英國劍橋: 劍橋大學出版社. 2011年6月30日. （英文） Alexander G. Findlay. A directory for the navigation of the Indian Archipelago, and the coast of China: From the straits of Malacca and Sunda, and the passages east of Java ... for the various channels, harbours, etc. 英國倫敦: R.H. Laurie. 1889年. （英文） Alexander M. Peterson. 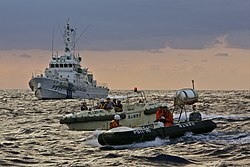 Sino-Japanese Cooperation in the East China Sea: A Lasting Arrangement?. 美國伊薩卡: 《康奈爾國際法雜誌（英语：Cornell International Law Journal）》. 2009年. （英文） Frederick W. Jarrad. The China pilot: comprising the coasts of China, Korea, and Manchuria; the sea of Japan, the gulfs of Tartary and Amúr, and the sea of Okhotsk .... 英國湯頓: 英國水道測量局（英语：United Kingdom Hydrographic Office）. 1861年. （英文） John Donaldson和Alison Williams. 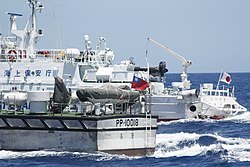 Understanding Maritime Jurisdictional Disputes: The East China Sea and Beyond. 美國曼哈頓: 《國際事務（英语：Journal of International Affairs）》. （英文） Linus Hagström. Japan's China Policy: A Relational Power Analysis. 英國倫敦: Routledge. 2005年5月19日. ISBN 978-0415346795. （英文） Mark Valencia. Maritime Regime Building:Lessons Learned and Their Relevance for Northeast Asia. 美國紐約: 施普林格科學+商業媒體. 2001年6月20日. ISBN 978-9041115805. （英文） William B. Helflin. Daiyou/Senkaku Islands Dispute: Japan and China, Oceans Apart. 美國檀香山: 《亞太法律與政策期刊（英语：Asian–Pacific Law & Policy Journal）》. 2000年.